WANT A FREE ESTIMATE ON YOUR UPCOMING MOVE? Back in 2007, our entire family made the decision to move west – Austin, Texas to be exact. We packed up everything (including the pasture), buckled in the kids (because it’s the law) and before we knew it, we were settled in the beautiful Hill Country of Central Texas. The moving experience, however, left a lot to be desired. Being in such an innovative, start-up community like Austin gave us an idea. Why not start our own Austin moving company so that others wouldn’t have to go through the same painstaking process? Austinites deserved reasonably priced movers with integrity, courtesy, professionalism and expertise. So that’s what we created - an Austin moving company with a heavy dose of real Southern hospitality. Check out the rest of the Square Cow Movers Story. 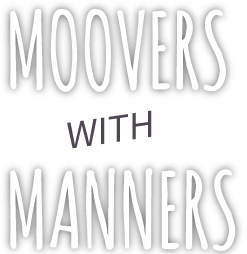 From Georgetown to Kyle to the most iconic neighborhoods downtown, Square Cow Movers serves the entire Austin metro. There’s nowhere we haven’t left our hoof prints. We’ve even set up shop with office locations in north and south Austtin to better serve all of the areas in and around our hometown. We’ve gone from just your local Austin movers to national movers in a very short period of time. It’s a testament of our dedication to exemplary customer service and giving our all to Austin locals. After all, you guys are our friends, family and neighbors! Square Cow Movers - Proud to be a True Austin Original! We may have expanded across the country, but our heart will always be in our hometown of ATX. Can you blame other cities for wanting the Square Cow Movers Austin treatment? Our hometown love and pride travels with us wherever we go. It’s helping us transform the moving industry all across the great state of Texas, and across the nation. Being a national moving company doesn’t mean we’re less focused on our Austin roots. We’re still headquartered in Austin, and the owners are still locals. Going national simply means we’re spreading the Austin moving experience and values to other locales. Our other locations also make it easy to help people move to Austin and live in one of the world’s greatest cities! We may have grown into national movers, but we’ve maintained our small business, hometown values. Customer service always comes first - always. Everyone deserves first-class moving services. In giving it our all with every move, because we’re there to work. Communication should be clear every step of the way. Our job is to make moving less stressful & more fun. No move is small. Every move is a big deal for our client. It’s important to be do-no-harm movers. We should minimize environmental impact whenever possible. HAVE any questions about your upcoming move? You can trust our local movers to handle the process like true professionals. Even if you’re making a short distance move in the same neighborhood (which is more common than you’d think) you’ll get our full attention and the full suite of residential or commercial moving services. Being that we’re an established business, we completely understand the worry that accompanies moving an entire office or building full of equipment. Our commercial moving services will allow you to stay focused on your company while our team handles the logistics and heavy lifting. As experienced Austin movers we know that timelines can’t always be lined up perfectly. Our massive, state-of-the-art storage warehouse in Austin has the space you need to secure your belongings while you’re making the transition. Short-term, long-term and climate controlled storage options are available! Our experience as Austin, TX movers has proven no one enjoys packing - except our pros! We’re experts at wrapping, packing and stacking so that your fragile belongings are protected. 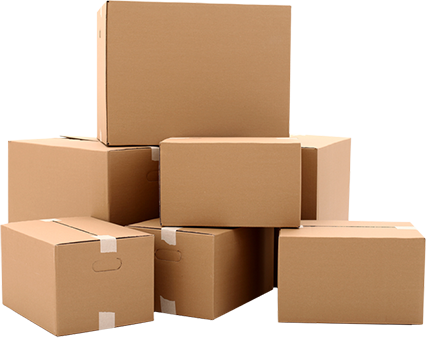 We provide everything including cardboard boxes, reusable containers, papers and tape for zero hassle, stress-free packing. Moving across Texas (or the country) is no sweat when you have help from a long distance moving professional. Our highly trained movers understand the regulations involved with moving across states, our trucks can handle the long drives, and driving a big haul in one trip is no problem. When you have a large or fragile item to move, you can trust Square Cow to get it properly packed up. Pianos, pool tables and fine art require trained professionals that know how to handle valuable pieces throughout the move. We can safely break larger items down, pack them up, and reassemble at your new location. Sometimes a move doesn’t require relocating to another home, but you could still use a little help getting things up the stairs, off the wall or into another room. A Square Cow moving professional can help you come up with a game plan to move items in a safe manner throughout your home, taking stress off your plate.